Phil Harris, the fishing boat captain whose adventures off the Alaska coast were captured on the television show Deadliest Catch, has died, the Discovery Channel said last night. He was 53. 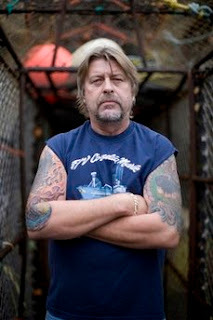 "It is with great sadness that we say goodbye to our dad — Captain Phil Harris. Dad has always been a fighter and continued to be until the end," sons Josh and Jake Harris said in a statement released by the network. "For us and the crew, he was someone who never backed down."